Romantic comedy a young Parisian goes to unusual lengths to try to win back his former girlfriend. When immature man-child Thomas (Raphaël Personnaz) inadvertently becomes the guardian of a baby, he seizes the chance as an opportunity to reconnect with his ex-girlfriend Marie (Charlotte Lebon), who dumped him a year ago. 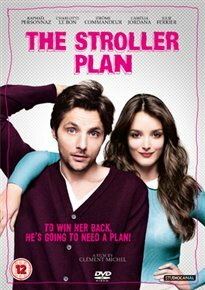 By pretending to be the baby’s father and showing off his new found parenting skills, Thomas hopes to demonstrate to Marie that he’s a changed man. But as he continues to dig himself ever deeper into his deception, he soon learns that the responsibilities of fatherhood are not to be taken lightly.